A time-travel show decides to tackle the story of the capture of Al Capone. They put a cast of good-looking, intelligent, but occasionally fumbling people in Chicago in 1931, place an unpredictable villain at the side of the the famous gangster, and hijinks ensue. There are shoot-outs, tough talk, and lots of pretty clothes and sharp suits. The time-travelers depart, and Al Capone is vanquished. That’s what happens on a time-travel show. On Timeless, Eliot Ness gets pumped full of bullets. There are things about Timeless that feel formulaic, though in the second half of its first season the show seems much more interested in bucking the formula than following along. Yet even when it seems predictable, this is a series that’s got a healthy streak of chaos. In the beginning, this streak mostly emerged through wild inconsistency in tone. Later, it peeked out through the unpredictable actions of its more chaotic characters, particularly Garcia Flynn and Wyatt Logan. When Timeless is at its best, this sense of unwieldiness, of thriving when things get nuts, simply makes it feel as though the writers have thrown the rulebook out the window. It’s still well-constructed, with act-breaks that feel familiar and the right hooks arriving in the final moments of each episode, but what happens within that familiar shape can be startlingly unfamiliar, and that‘s worth celebrating. 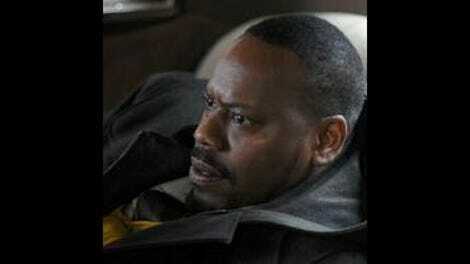 It’s also the feature of Timeless that makes “Public Enemy No. 1” an effective outing, particularly when it’s viewed as the second half of last week’s equally effective and slightly nutso episode, “The Lost Generation.” Rules and roles change, new dynamics emerge, time-travelers wander the streets of Capone’s Chicago in 1950s suits and button-fly jeans, from The Gap, Eliot Ness dies before the episode reaches the halfway point and one of the show’s three leads seems to be dying. (He won’t.) 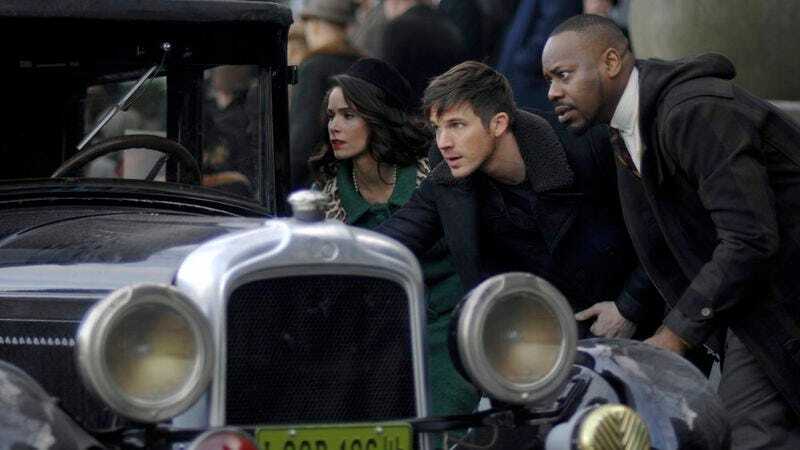 This isn’t a series that has worked out all of its kinks, but as it careens into its finale, Timeless finally settles into a rhythm that works. That rhythm is, to be frank, just a little bit bonkers. The bonkers thing only works because much of the writing still comes from a grounded place. Last week, the Time Team reminded viewers that what they’re doing, dangerous as it is, can still be pretty spectacular. This week, despite the precarious position in which they find themselves, the team proves that they’ve gotten pretty good at this. When things go wrong—and boy, do they ever go wrong—they find a way to keep moving because, as is made clear to them very early in the hour by Agent Christopher, there’s no one else. They alone can stop the seemingly countless bad guys from ruining both the past and the future. It’s a common theme for “Public Enemy No. 1.” We get a rare few moments of stillness with Garcia Flynn early in the episode, thanks to a scene that gives Goran Visnjic a chance to play something other than menace for a change. Like the Time Team, Flynn also believes that he’s the only one who can stop the destruction of the world. His brief scene with the priest is easily the most interesting moment he’s had to date, and when his final request to Capone is revealed, it puts that early conversation in a new, more dynamic, and ultimately unsettling light. Garcia Flynn is playing God, and he’s not happy about it, but he’ll do it anyway. Jiya, too, is the only one who can help. (The stakes are high for everyone here, aren’t they?) After a season in which she’s had little to do, it’s terrific to see Claudia Doumit so active, going full MacGyver on a closet full of broken computer parts and throwing world-class shade at the suddenly much scarier Connor Mason. This is a series that’s made room for some compelling female characters, and it’s encouraging to see them move Jiya further out of the love interest box to which she was mostly relegated. Like Flynn, Jiya and the Time Team, Richard Hart also knows he’s going to have to step up—in this case, to face his brother. The historical nuggets dropped by Timeless play best when they’re a little unexpected, so the choice to focus on Capone’s estranged brother, rather than the more familiar and not-so-Untouchable Ness, proves quite effective. The eventual shootout plays out as a bit casual, but the results hit just as hard as one would hope, with Hart grieving his brother and Lucy, Wyatt, and poor, poor Rufus left in a very dangerous position. We know Rufus will get them back, because the teaser for next week’s episode shows them in another era. We know he won’t die, because Timeless simply isn’t going to kill off its most winning character. It doesn’t matter, because good acting doesn’t give one lick of a damn about what the teaser for next week has to say. Barrett, Abigail Spencer, and Matt Lanter sell the holy crap out of this episode’s end, with Barrett admirably underplaying a life-threatening injury and the panic that comes with it, and Spencer and Lanter pairing their terror for their friend with the very real possibility they’ll be stranded in 1931 without any way to get back home (or stop Garcia Flynn). It’s going to work out in the end, your brain says, but maybe, just for a minute, your heart thinks otherwise. For a show like this one, that’s a home run. “So you can either spend the net few hours working for me, or the next 10 to 15 years wishing you had.” Jim Beaver is a great addition to this cast. Next week: Joe McCarthy. That’s… timely.